Welcome back! Today we're showing off a project made by Dana Tatar, and all I can say is WOW! I absolutely love the colors ad textures of this piece. I'll let Dana tell you in her own words her inspiration for this piece and how she created it. Hi! Dana Tatar here today sharing a fun mixed media piece that I created with the JnW Crafts Wood Bottle Template. I recently purchased a bottle of Absinthe and loved the Van Gogh artwork by Ron English on the box. I cut the box apart and used that image for the focal point of this piece. I was thrilled to find that the JnW Crafts Wood Bottle Template fit over the bottle print on the Absinthe package perfectly! The bottle template made a great frame to highlight the Absinthe bottle image. I stained the wood with Vintage Photo Distress Stain and then stamped a text and floral print over that using Sepia Archival Ink. I finished the outer and inner edges of the template with a black paint pen and added some green brads for a pop of color. I had a fantastic time creating the background for this piece. I primed the cardboard with gesso and then added a thick layer of Extra Heavy Gel Medium. I used a plastic comb to create the swirling circle design. Once the gel was dry, I sprayed the background with several colors of Dylusions Ink Spray and then added some stamping and pieces of torn newspaper. To enjoy Absinthe in the traditional way one pours the liquor into a glass, places the Absinthe spoon across the top of the glass and positions a sugar cube on it. Next, one dissolves the sugar cube with cold water. This process turns the emerald green liquid opalescent, unleashing "The Green Fairy." I was inspired by this drink recipe and created this embellishment cluster. Thanks for stopping by today! 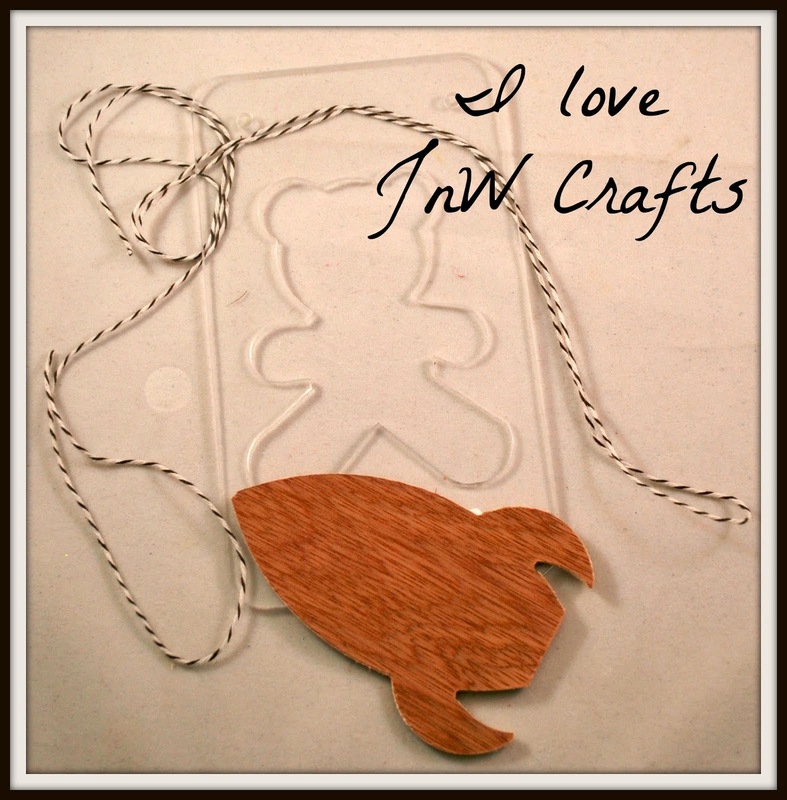 I'll be back to share more projects created with JnW Crafts products soon!